What are the Bane and Boon cards like? The bane and boon cards on the shop look really nice from the single picture of them that is shown, but with shipping to Canada, the total price is $40 for both decks and another $20 for shipping! I’d probably want two or three sets so that each player can have what they use regularly in front of them, and one set aside for the GM. I can’t seem to find any information the decks at all. What are the dimensions, what does the front side looks like, are there blank cards included? Is it the entire text of the Bane/Boon description on the card? Does it have all of the invoking attributes listed? It would be nice to have some examples of the card front on the shop page, maybe showing one or two different Banes/Boons. Since it looks like it would be at least $140 to get what I want, I’ll probably end up just making my own decks anyway, but it would be nice to know what I am missing out on. Truthfully, i’d probably just make your own if you are wanting that many. The cards are nice, and whereas I’d want people to support OL as much as possible, I’m not sure the cards are fully worth it (again, especially in that amount). 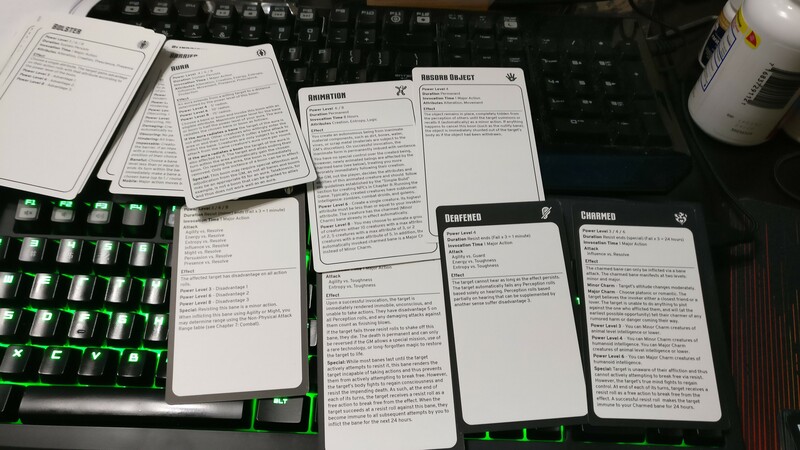 On the other side, you wouldn’t need a deck for each person, at most I’d do 2 decks for players and 1 for GM. The cards are nicely, and professionally done. They are “tarrot” size cards (I think is what that size is referred to as), basically larger than regular poker cards. The back side is the logo, the facing side has it all listed out. I get back on Saturday, and can take some pictures. There have been examples I posted in the discord I might can pull up, and probably on my twitter. oh, also to note, I know there is 1 boon missing from the boon deck, can’t remember off hand which one it is, maybe summons. And there is either 1 or 2 bane cards that have the wrong invocation time due to a parsing error… Been awhile since I looked though, can’t remember off hand. I probably will just end up making my own then. I’ve found some sites online where I can get a custom deck of up to 100 cards printed for less than $20 CDN. 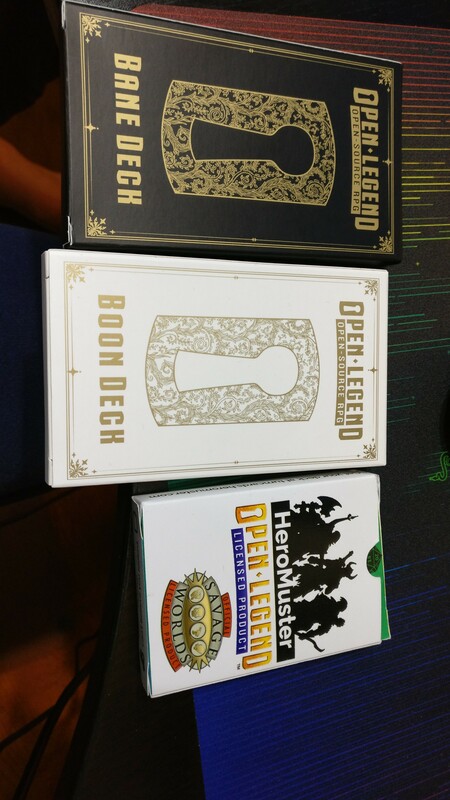 I think I can get three or more decks for the same price that one of the real ones would cost me. Thanks for the information.